This BFL fidget spinner is made out of 6061 T6 Aluminum. 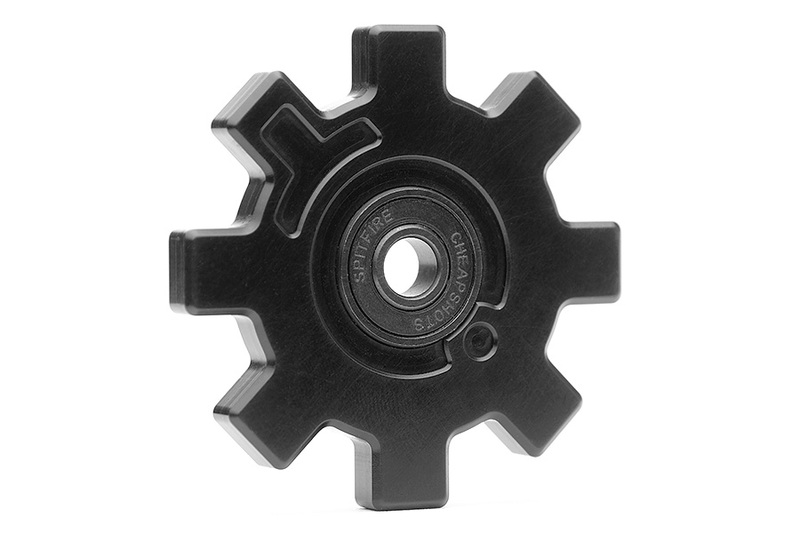 It features Type II, Class II anodizing in black and is fitted with a black bearing. Can easily be carried in your pocket as it's approximately 2 5/8" diameter.